When PNDT Authority was fined Rs 10,000 for illegal sealing of Machine….. 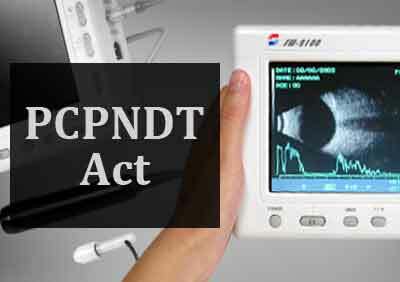 Unique relief for Doctors in PCPNDT – The General Surgeon who was using Sonography Machine for diagnostic purpose received Rs.10,000/- from Appropriate authority for Illegal Sealing of Sonography Machines, by Division bench of Bombay High Court. 1. The Appropriate Authority when visited the Petitioner’s (the surgeon) Clinic in 2011 found that the room where the ultrasound Sonography machine was kept, was not put under lock and key. A show cause notice was therefore issued to the petitioner calling upon him to explain as to why the room where ultrasound Sonography machine was kept was not put under lock. On the same day, the Tahsildar, without waiting for receipt of explanation from the petitioner, proceeded to draw a panchanama and attached and sealed the machine. 2. The petitioner tendered his explanation informing that he uses the machine for diagnosis of cases for surgical purpose and does not put it to use for any other purpose. The explanation tendered by the petitioner was not considered and no further steps have been taken by the Respondents. 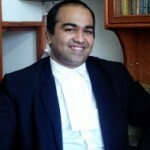 The petitioner, approached the Bombay High Court seeking relief. Their Lordships observed that it has not been brought to their notice , at any time in past, the Petitioner has been accused of violating the provisions of the PCPNDT Act, 1994 or Rules framed thereunder. The action taken by the Appropriate Authority appears to be excessive for the reason that on 17.06.2011, the Appropriate Authority proceeded to issue notice to the petitioner calling upon him to tender his explanation in respect of the allegation recorded in the notice, within a period of eight days, however, without waiting for eight days prescribed under the notice, proceeded to draw a panchanama and sealed the ultrasound sonography machine. It does appear that there is absolutely no material to come to the conclusion that the machine itself may furnish evidence of commission of offence punishable under the Act. It is also an admitted position that during inspection, the Appropriate Authority did not find any objectionable material to come to the conclusion that the petitioner has, in any way, contravened provisions of the Act or Rules framed thereunder. It has been stated by the petitioner that he does not indulge in gynecological practice and has restricted his practice as a general surgeon. The action taken by the Appropriate Authority is unsustainable. Though the machine is put under the seal since June 2011, no further steps have been taken till this date. Petitioner is not accused of commission of offence punishable under the provisions of the Act of 1994 or Rules of 1996 framed thereunder. With these observations the High Court quashed the action of AA and saddled cost of Rs.10,000/-. I think its a unique judgment. Those Doctors who are following all the procedures prescribed by law, have been bailed out by the Courts..
Disclaimer: The views expressed in the above article are solely those of the author/agency in his/her private capacity and do not represent the views of Medical Dialogues. 13 comment(s) on When PNDT Authority was fined Rs 10,000 for illegal sealing of Machine….. Please let me know if a gastroenterologist is using color doppler/ultrasound for Endoscopic ultrasound purpose only and not with gyne probe, does he still has to apply for Pndt? Better in current situation. But 10000 is no compensation for what the surgeon would have gone through.